We are introducing a new segment called, “The Next…” This involves our predictions on what will replace the stalwart in the segment. Starting us off is the Mitsubishi Eclipse. It offers cheap power, AWD, somewhat sketchy reliability depending on who you talk to, and great looks. The next Mitsubishi Eclipse could have been the next Mitsubishi Eclipse, but with the introduction of the 3rd Generation, it went bigger, FWD only, and no turbo option. Just a 2.4L 4-cylinder that left a lot to be desired, and a 200HP V6 that also was lacking. So what could possibly be the next car to replace its dominance in the import scene? The Subaru WRX! Some of you might already be angrily firing up your email to me saying that it’s blasphemy that a 4-door sedan can replace a sporty 2-door car, hold on though. Let me explain. 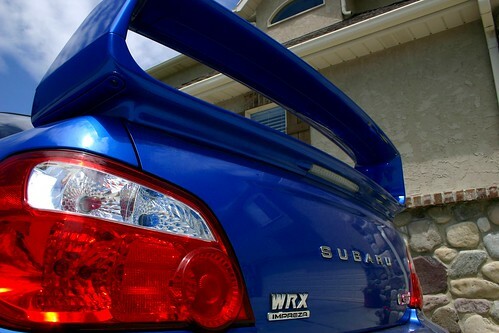 The Subaru WRX has all the keys to make a successful modified car. More than the 2nd Gen Eclipse/Talon based on my completely unscientific research(I guessed). They can easily be found under $10,000 and at the very oldest, they are 8 years old now which is still relatively new and they will only get cheaper. You can find turbo upgrades, intercoolers, body kits, long blocks, more springs than you can imagine, and it can all be had for relatively cheap if you shop around. Remember, competition is a good thing in this aspect. Sounds simple enough, but a lot of people I know went drag racing in their AWD DSM’s. It’s a good platform for doing so even if it wasn’t what it was designed for. I’ve ripped off a few 1/4 mile runs in my old STi for example. And if you live in an area with more than two seasons, you can explain to the significant other how practical the car is. “But honey, it’s got 5 seats, AWD, and it’s fast safe.” With AWD, you can take it rallying one weekend, auto-x the next, and finish it up with a drag race at the local track. Nothing gets the majority of people going more than a turbo. Marketing people love it, but so do enthusiasts, so it’s really a win-win. This kid of falls under the the aftermarket support, but turbo’s are generally known to be easily upgradeable. Want more power, throw a boost controller on there and go as high as you dare. Of course, a WRX has its quirks, just like a DSM. Second gear isn’t known for being ‘strong’, and it is not the prettiest car around in stock form. Bugeye headlights? Really? I thought we all learned our lesson with the Austin Healey Sprite. The 06-07 had the best look of them all, although the bulging biceps err…fenders on the ’11 make a compelling argument. In modified form however, you can make this car look amazing or hideous with so many options. You can make it your own, fast rocket, and that is why I think it is The Next…Mitsubishi Eclipse.